We are using default views/welcome_message.php with controller/welcome.php to generate pdf that is easy to understand. You can add your model & include it into the controller. Step 2: Create a file name named Pdf.php into application\libraries folder and paste below code. 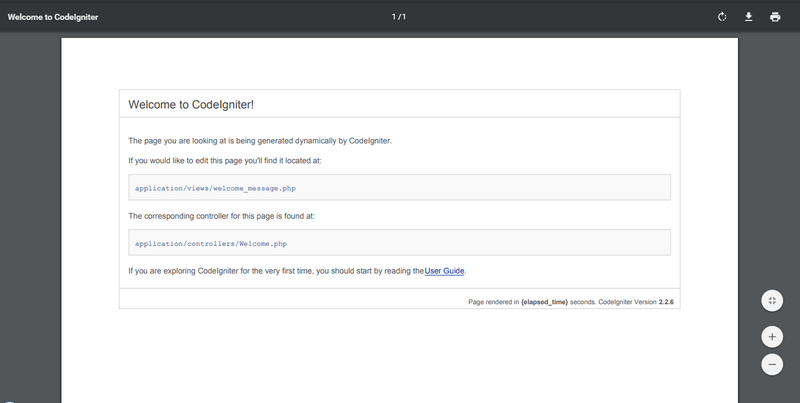 Step 3 : Now create an controller that renders html view to PDF. Step 4 :In above controller we have used default welcome.php, you can replace with YOUR_VIEW.php file. Create a model if you are using custom view in step4 and load it into controller.